Is It Hard for You to Say No? Saying no is hard for some people, but sometimes we have to be firm, especially with our time. If we take on tasks that we don’t want to do, we can end up resenting the person making the request. If we say yes when we need to say no because of time constraints, we may miss our own deadlines and fail to meet our deliverables. Saying yes when we should say no can sap our energy and productivity. Here are some tips to help you be more assertive and in control of your time by saying no more often. Focus on your top priorities and use them as criteria to help you decide when you should refuse someone and when you should agree to take on something new. Knowing what you need to accomplish and your own deadlines helps you communicate about conflicting demands on your time. See my blog post Focus to Be More Positively Productive. Leave time in your day to take on the unexpected. When you agree to take on a new task, it is easier to stay on track if you have some wiggle room in your calendar. Be forthright with your no. Give your reasons and, if appropriate, offer options, for example, maybe you can fulfill the request later in the day or tomorrow. Assess the risks associated with saying no. Say yes if the request comes from someone you can’t refuse or if you feel that it would be politically incorrect to refuse. Taking charge of your time is a key factor in your ability to stay positively productive, and your ability to say no graciously and firmly is a key factor in taking charge of your time! 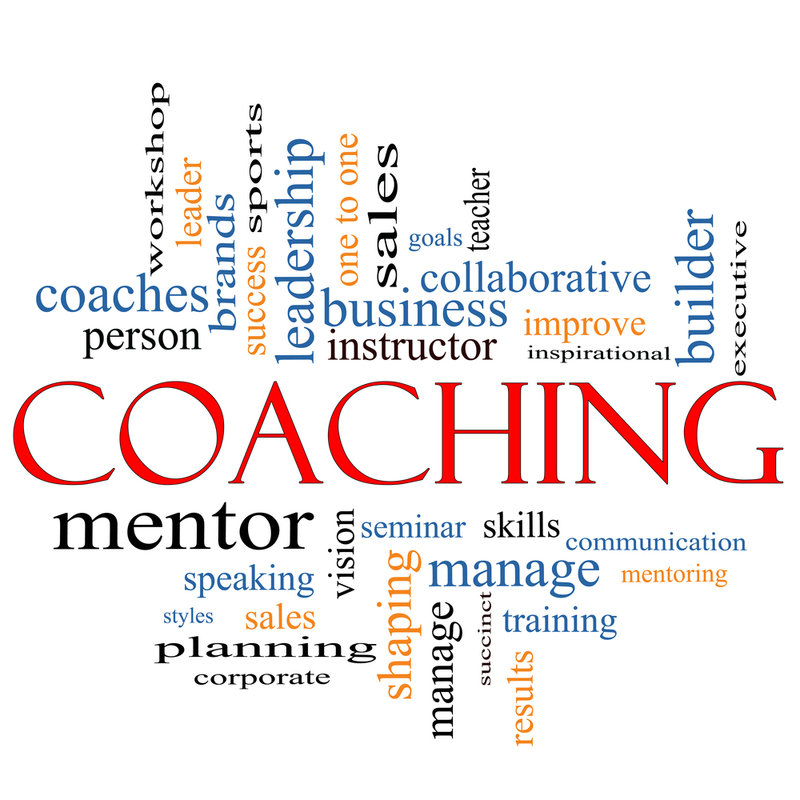 Do You Need a Coach or a Mentor? Sometimes in our careers, we need a little help to get ahead and be more successful. Some people use a coach; others choose a mentor. There are important differences that you need to understand before deciding who can best help you. 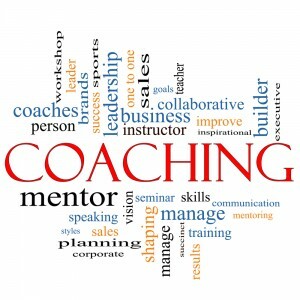 Coaching focuses on developing specific skills; mentoring focuses more on issues that affect your professional success. For example, a business coach can help you improve time management by teaching you new skills and helping you to recognize and eliminate time wasters in your day. A mentor, on the other hand, is more of an advisor or counselor who can help you with larger issues, such as managing conflicts between personal and professional demands, growing as a leader, and developing deeper expertise in your chosen field. Generally, coaching is short-term. Once you gain proficiency in the skills you want to develop, the coaching relationship ends. Mentoring, however, requires time to build the relationship and trust needed for success. Some mentoring relationships go on for years. 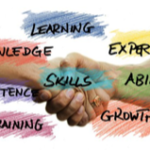 Whether you choose a coach or mentor, investing the time and effort to advance your career and develop greater professionalism is a key factor in long-term success. I’m not an image consultant, but I do understand the power of image for career success. The adage “Perception is reality” is never truer than in business. We are judged by how others perceive us. If your manager thinks you are sloppy because you have a messy office, he or she may judge you to be less professional than your peers. This can affect your career. So, how can you manage other’s perceptions in a way that demonstrates your professionalism? Here are five tools you can use. Be organized and neat. This means you have to get rid of the piles of papers in your office and take charge of your electronic documents and e-mail. Take a few minutes every day to clear up the mess, set up a system for finding filed documents, and clear up your work area before leaving every night. Check out my GO System program. Be punctual. Plan your schedule to allow for travel time to and from meetings to ensure you always arrive on time or a few minutes early. If you get to the meeting location ahead of time, you can organize your place at the conference table, review your notes, or network with other attendees. See my blog post Networking for Results. Be accurate. Take steps to ensure written documents are correct by spell checking, grammar checking, and proofreading everything before hitting send. Double-check numbers, people’s names, and hyperlinks. Be accountable. Everyone makes mistakes; a professional apologizes and takes corrective action. When you are accountable, people know they can rely on you to do what you say you will do and accept responsibility for making things right. See my blog post Be Accountable Even If You Aren’t Responsible. Be articulate. To succeed in business, you have to be a good communicator who is comfortable speaking one-on-one and in front of groups. Many people are terrified of speaking in public, but this fear can cripple your career. Start small by speaking up at team meetings, then graduate to speaking in larger groups. Organizations such as Toastmasters can help you overcome speaking jitters and prepare talks that capture people’s attention. Perception is reality, and you want to ensure you are communicating professionalism to everyone you work with and meet. When you write an e-mail, you want it opened and read sooner than later. An important key to getting it opened is observing e-mail etiquette. 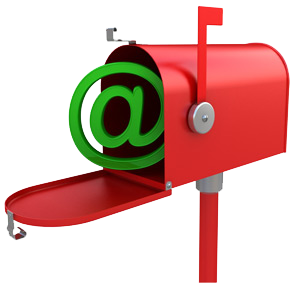 Here are some quick tips you can use to improve e-mail. Use a greeting. In casual e-mail, a simple, “Hi, Joe,” or “Hello, Sarah,” is fine. In a formal e-mail, use standard letter correspondence etiquette: “Dear [the person’s title and their last name] followed by a colon,” for example, “Dear Dr. Carlson:”. Send only to people who need to see the e-mail, and when responding, delete anyone who doesn’t need to see it. Get to the point and don’t waste people’s time with a lengthy introduction. Break up your e-mail into small paragraphs or bullets since a solid block of text is hard to read. Don’t spend a lot of time with formatting since some recipients may not be able to see it. 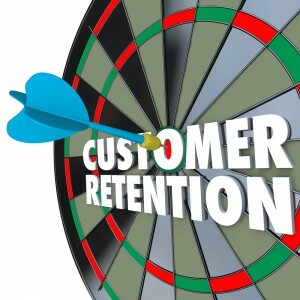 E-mail is a necessary tool for business today. 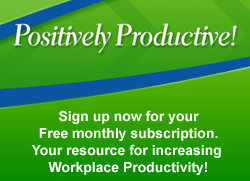 How well you write your e-mails contributes to how positively productive you are. Check out my new Writing and Managing E-mail workshop for best practices and new techniques to create successful e-mails, manage the tone of your e-mails, and control your in-box. Involve the entire team in the process by gathering them together for a meeting that focuses solely on coming to a decision about an issue or solving a problem. Set some rules at the beginning and get consensus on the rules. For example, ask the team to refrain from criticizing anyone’s comments or suggestions, to show courtesy when someone is speaking, and to contribute to the discussion. Go around the room and solicit each person’s opinion and answers. Capture them on a white board or flip chart. In this way, everyone has a voice and feels part of the process. Break the group into smaller units and have each unit brainstorm solutions and present to the group the one they think will work best. Openly discuss each option presented, let people make suggestions to improve them, and settle on the top two. Focus on the top two, using a risk assessment process. What risks and benefits are associated with each option? Which is the most practical and produces the best results with the least risk? 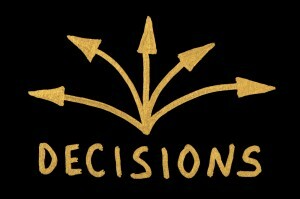 When an option is chosen, go around the room and ask each person to support the decision. Being able to create consensus will make your team stronger and produce better results than if you go it alone. It also makes your team members feel valued and gives them a vested interest in the success of the team. See my blog post Do You Believe in Intuition? 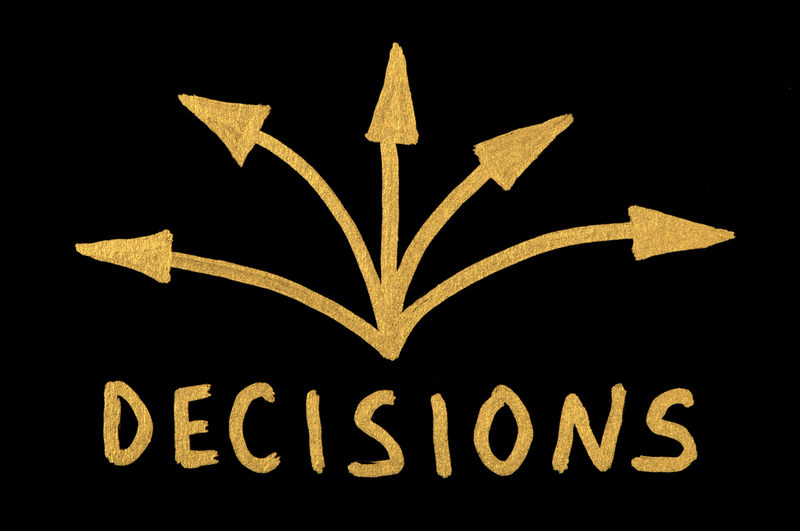 for another important decision-making tool.